I would like sign for a recipe book. 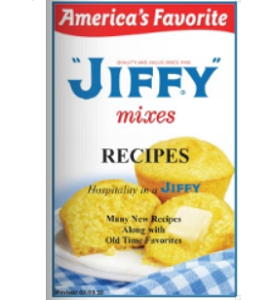 I love using Jiffy mix. I would love this recipe book. I love Jiffy Mix. Corn Muffins, and the Blueberry Muffins. My family loves them. I would Love a Jiffy recipe book. Please ! I would love a cookkook. I love jiffy mix. I would love to have the recipe book. Have used Jiiffy mixes for years. I got mine a couple days ago! Thanks!